Throw Back Thursday: Man of the House! 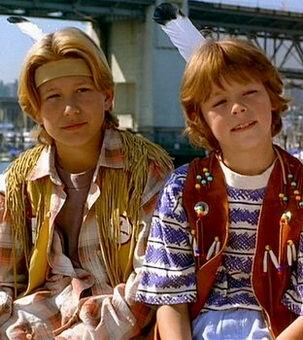 Being a 90’s kid, this movie was pretty amazing and an important part of my tween years. 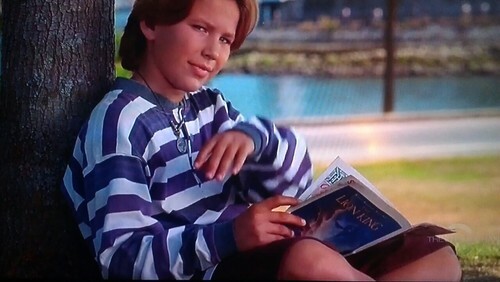 My bedroom walls were one massive collage of JTT and yes, I have seen every Home Improvement episode! 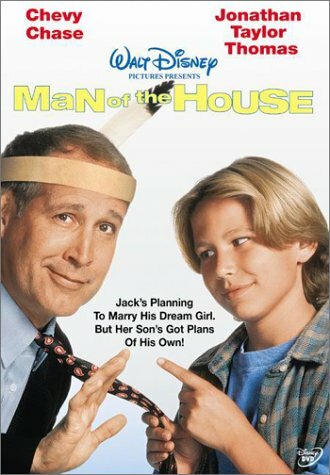 To my delight, one of my all time favorite Jonathan Taylor Thomas movies, Man of the House, is available for FREE with my new cable company. I used to obsess over the loft apartment that Ben (JTT) lived in with his mother, Sandy (Farrah Fawcett), and was especially jealous of their cool rooftop play area. I watched the movie again this past week, and discovered an interesting shift in my sympathies. 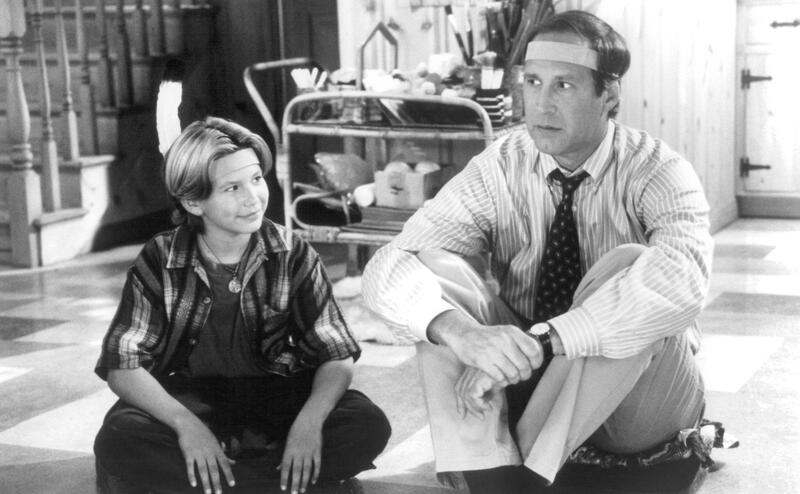 While as a kid watching the movie, I was always rooting for Ben and hoping that he would succeed in kicking Jack (Chevy Chase) to the curb. The movie is still a good one, and it’s interesting to see how the perspective can shift depending on your age. Crazy! If you get the chance to watch it again, pay attention to who you are rooting for now, and let me know if your sympathies have changed like mine did! 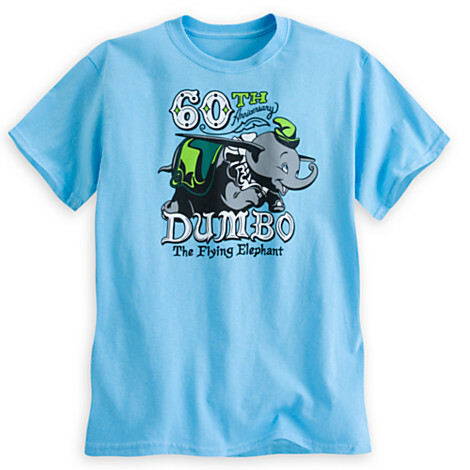 Dumbo the Flying Elephant Limited Release Items! To celebrate the 60th Anniversary of Disneyland, we need to pay homage to one of its original and ever-so-popular attractions: Dumbo the Flying Elephant. This ride has become a staple at both Disneyland and Walt Disney World. To recognize this, the Disney Store has released a limited release collection of t-shirts and a poster, both boasting the flying elephant himself in a vintage style design. The items are only available until tomorrow, so if you’re interested, I would highly suggest visiting the online store today and making your order. The adult t-shirts are $27.95, kid size is $22.95. There is also a poster for $32.00, and if you’re feeling really magical and love the cutie, you might want to splurge on the Giclée on canvas, which costs a cool $120.00! This trailer was just released, and I’m anxious to hear what you all think about it. For me, it seems like this story is going to tug on the heart strings. Is it November, yet? To keep the festivities going in honor of Disneyland’s 60th Anniversary, I thought this video would be the perfect thing to share. I stumbled upon this on Disney Avenue‘s blog, and it’s amazing! 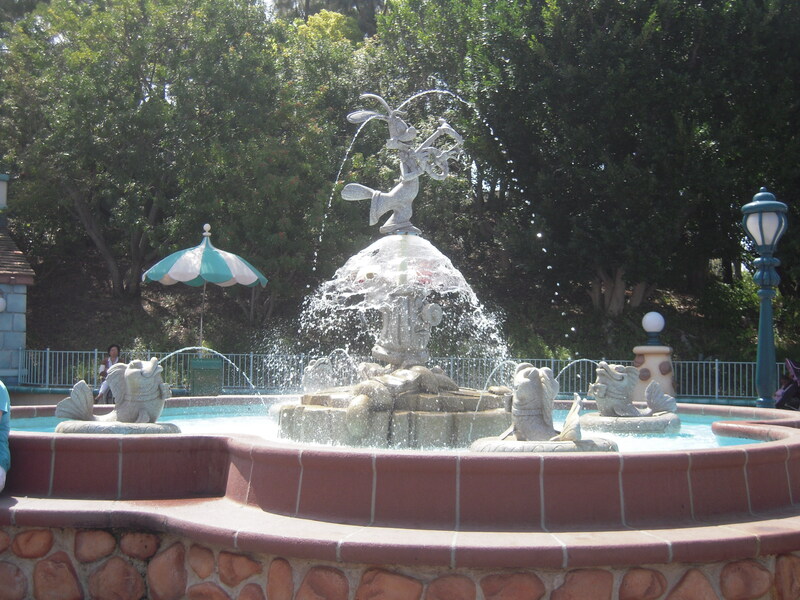 The Disneyland, U.S.A video was recorded in 1956, a year after the park had opened. 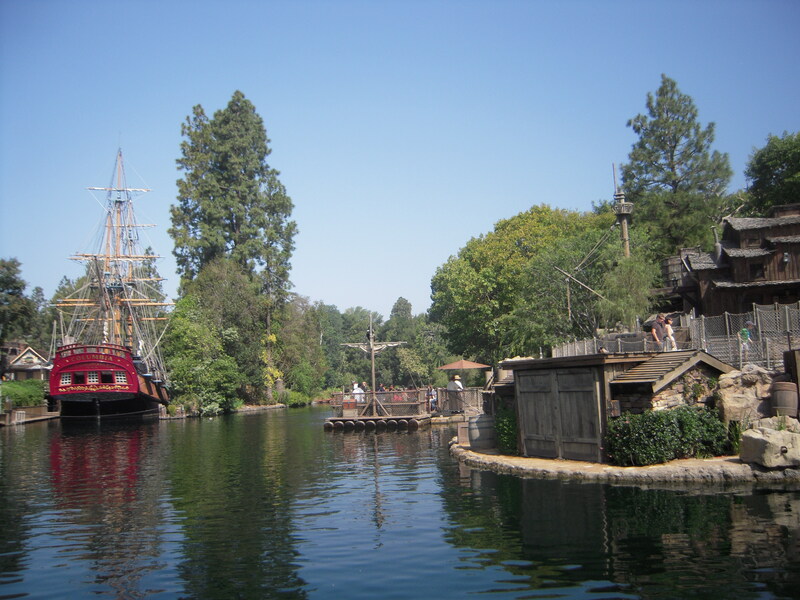 It is a featurette that is part of a series called People and Places that Walt Disney Productions produced. Now, it has become a wonderful time capsule for us all to enjoy. Take a look how people dressed, and notice the lack of selfie-sticks and duck faces (he he). 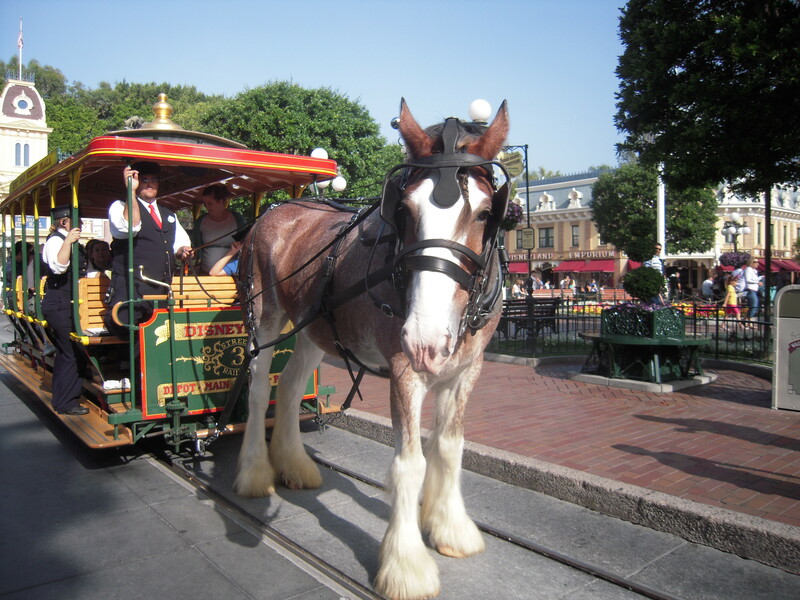 Experience the vintage feel of the park while the narrator takes you through the attractions. 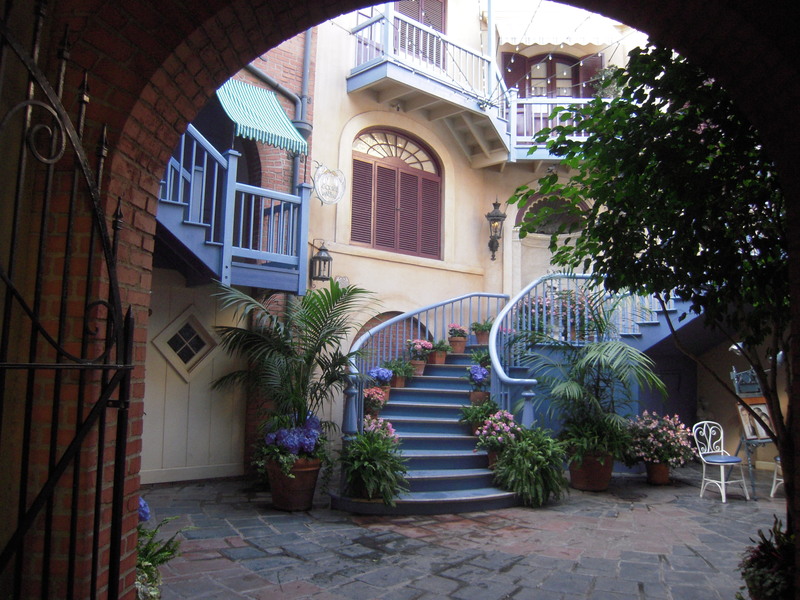 The 42-minute video allows us to take a leisurely stroll through the way the “World” looked through Disney’s eyes. Fabulous! 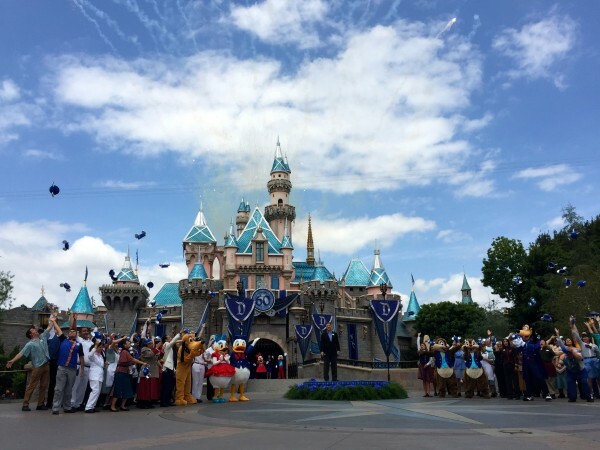 Time to celebrate Disneyland’s 60th Anniversary!!! That’s right, folks! 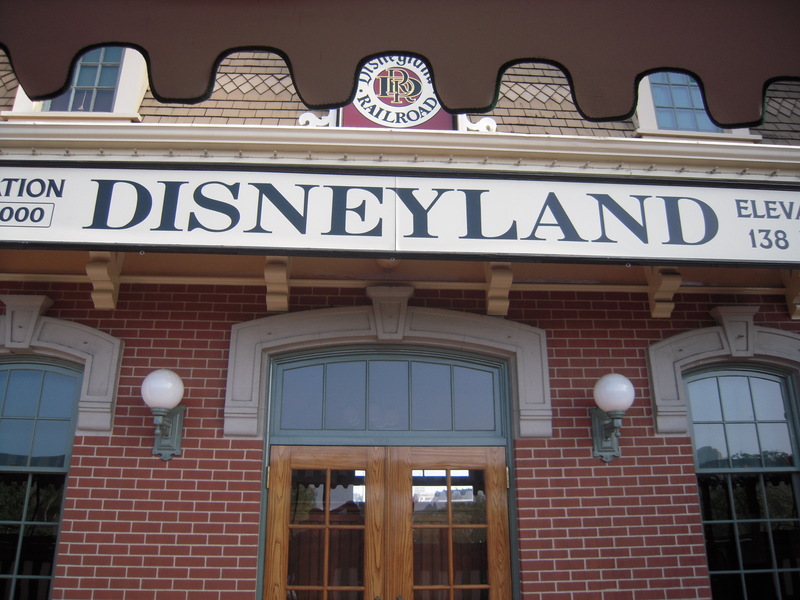 On this day 60 years ago, the gates opened for the first time at Walt Disney’s beloved amusement park, Disneyland! History was certainly made that day. ABC was there to broadcast the festivities live, and so many people tuned in to see what was happening inside this magical place, that it became the biggest live telecast at the time! While the park opened on July 17, 1955, it was invitation only. These invitations were given to the workers who had helped build the park, as well as sponsors and reporters. Surprisingly (or, maybe not so much), these coveted tickets were counterfeit, and so the park saw over 28,000 people through its gate. 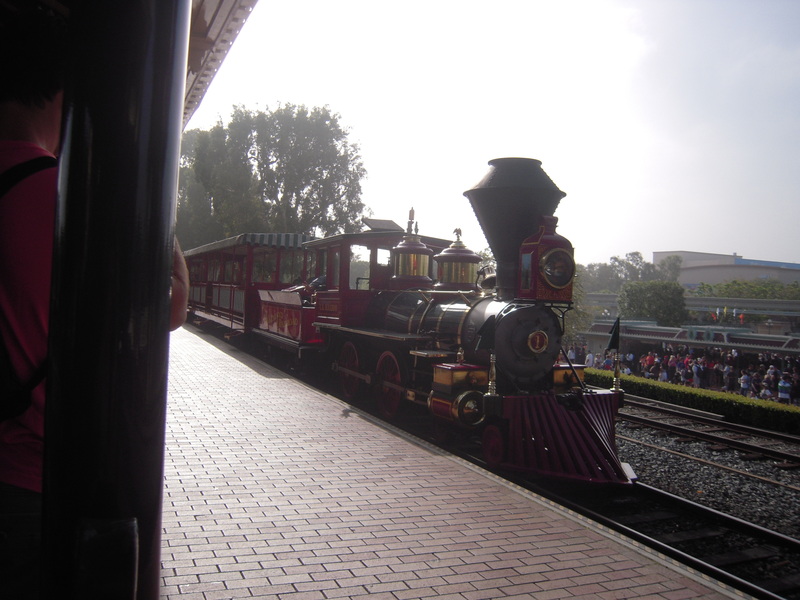 This caused opening day to be dubbed by Disneyland employees as “Black Sunday”, because due to the overwhelming attendance, plus the normal mishaps that newly-opened businesses all suffer, the first day at Disneyland was chaotic to say the least. There was a shortage of food, a gas leak (yikes! ), crazy traffic jams around Anaheim, and who knows what else. 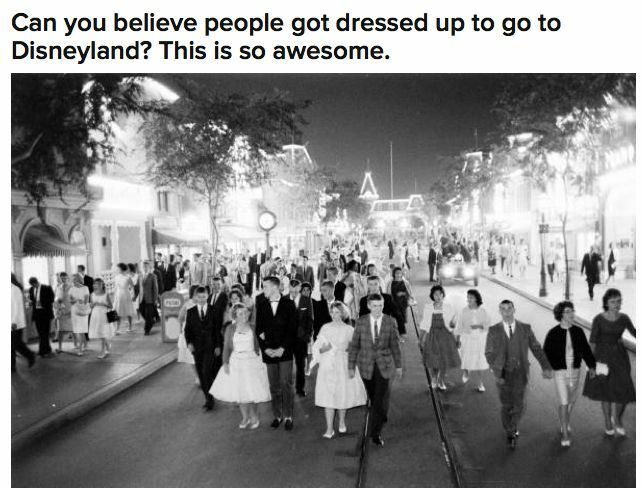 But, they pulled through, and in less than 2 months from opening day, Disneyland welcomed over 1-million guests to the happiest place on earth! Way to go, Disneyland! Let me celebrate by sharing some photos I took from my first trip there back in 2012. Enjoy! Just to prove that I made it. After a 6.5 hour flight (eeek) and driving the crazy highways of California, I finally made it! This horse and I had a moment. He totally posed for the camera! Show off. 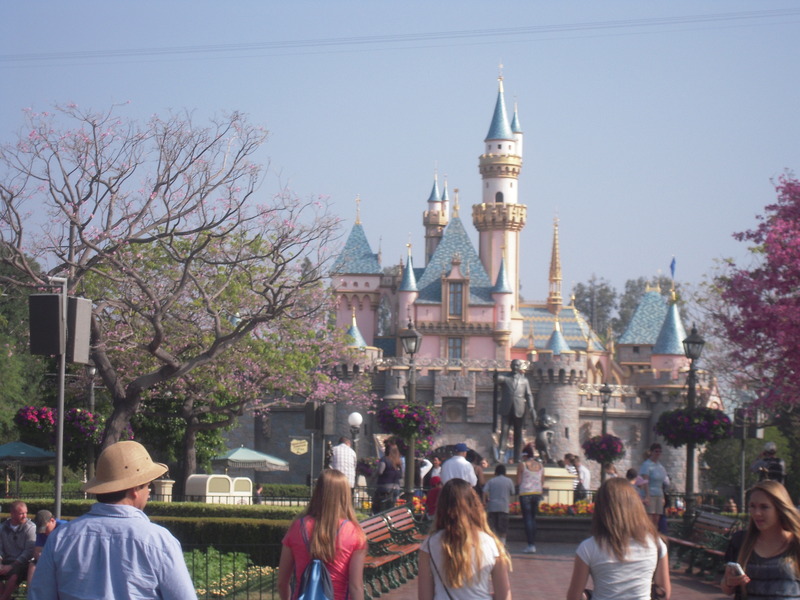 The obligatory castle shot, with the statue at the forefront. Toontown! 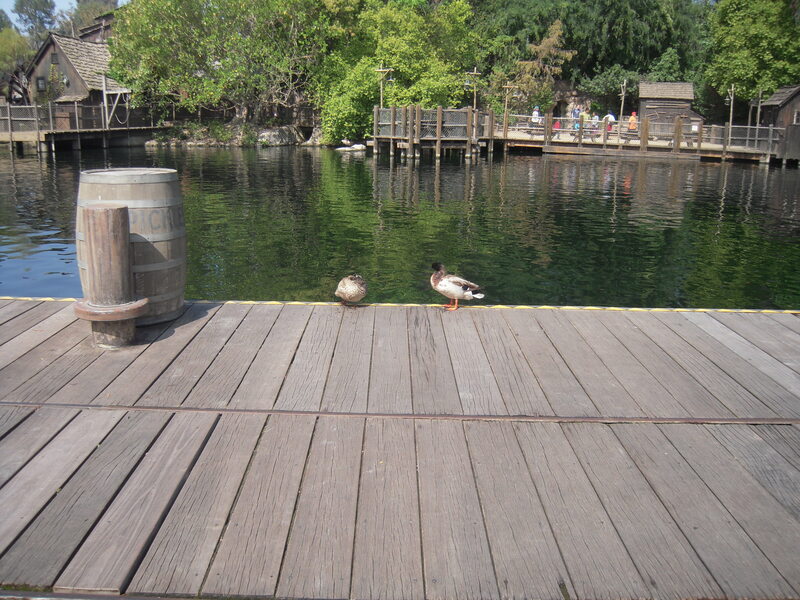 How I miss the Toontown at WDW. This land included an awesome Roger Rabbit ride! Watch this video clip, and do not shed a tear. No lip quiver or cloudy eye dabs allowed, either. I’m telling you, it is absolutely impossible. …The answer is simple. For verification that I am not a big, blubbering baby!